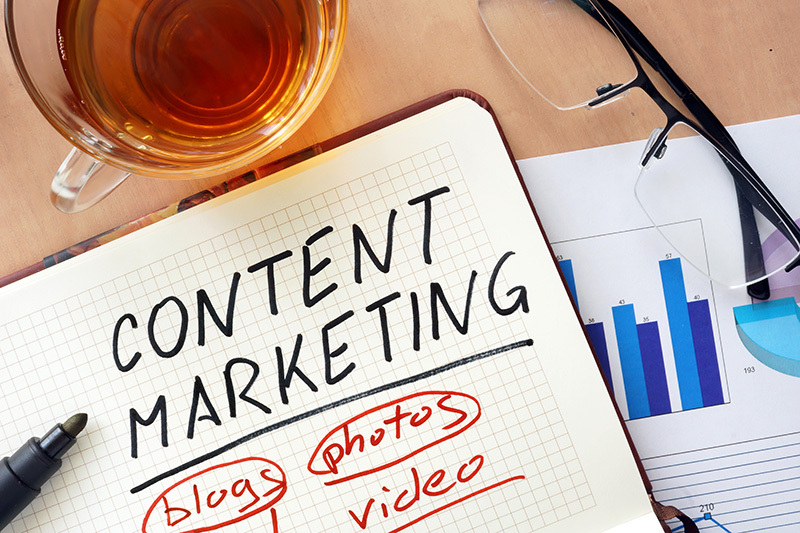 You've probably been told you need a content marketing plan for your business, but the problem is a lot of people approach their content without any real plan at all. And without a strategy moving forward, it's going to be difficult to get the results you're looking for. This tutorial will show you why content is important and how to create a plan that produces the most efficient results for you. Just enter your name and email address below. You'll receive our exclusive Elite Writer's Lab Content Planning Worksheet and ongoing publishing strategies, so you can put what you learn into action right away. It doesn't matter if you're writing blog posts, making YouTube videos or creating any type of content, there are two key things to keep in mind before you start. #1: Less is more: When you focus your efforts and leverage the work of others, you’ll get much better results. There is no need to spend hours per day writing content. What you say is always more important than how often you say something. Put your focus on putting your best content out there and deliver the best experience for your audience, instead of worrying about how much content you have. #2: Conversion trumps popularity: In today’s social web, it’s easy to fall into the trap of believing that popularity equals success. Well, if your idea of success is having a high maintenance business that requires maintaining relationships, rather than maintaining and growing bank account, you might be right. What's most important is that you have a purpose to your content. It should be growing your list, selling your products or serving your business directly in some other way. We'll show you how to do this. If you still need a bit of convincing, here are some very important reasons you should be creating content for your business. It’s an inexpensive way to generate more exposure for your online business. This can come from search engine traffic, repeat visitors, links and word-of-mouth. The Internet is about information and entertainment – your content provides that. Establish your expertise in your market. Whether you realize it or not, you’ve got expertise your audience is craving. It might be your knowledge on a subject, your viewpoint or your uncanny ability to motivate people into action. You have something your target market is craving. Builds relationships with your current and prospective customers. You share good content and give good advice, creating an important bond between you and your readers. When you deliver good stuff, they are more likely to buy from you. On-target and well-crafted content promotes the products you are selling. This course will show you the invaluable skill of selling informatively and conversationally. It can even bring the attention of and more exposure from the media. Never thought it was possible for a CNN writer to contact you or a national magazine to approach you for advice? Well your online, information-rich web presence can help you do just that. All the content you create should serve a purpose and you should be conscious of that purpose. No, not every piece of content has to sell a product like a desperate used car salesman. Nor does each piece of content have to be your life’s work. If you’re writing content for business purposes, it simply needs to serve a need for your readers…and in turn, you need to understand how that benefits your business. Because if you're simply creating content because someone told you to create content, you're probably wasting your time. Search Engine Food: Let people find your site through keyword searches that lead to highly targeted content pages. In other words, create content on the subjects your target market is readily searching for. Word-of-Mouth Material: Content that gets people talking can drive traffic. Whether it’s informative, entertaining or controversial, it can build traffic and readership. Pre-Sell Material: Pre-sell your readers on your products or services. For example, if you sell a potty designed for easier toddler training, write articles on potty training that talk about your product, publish reviews, show product comparisons, etc. Ethical Bribes: Quality information can serve as an ethical bribe to get someone on your list. If you sell debt-consulting services, give your readers something they can use. For example, you can create a report on understanding your credit or give out information on how creditors actually work against debtors goals. Establishment of Expertise: Content can establish your expertise, so that people will call on you to work with them. Whether you’re publishing on your own site or being published elsewhere, good content can get you noticed. Put together a report, publish articles, make guest blog posts that highlight your skills and knowledge. Just make sure the people who read the content know how to join your mailing list and how to request your products and services. Reader Satisfaction: There’s something to be said about keeping your current readers satisfied. They come to expect certain quality from you, so deliver that. If you use content to build an audience and generate sales, do it with some consistency. Customer Relationships: Content for customers that helps them consume your products, make BETTER use of them and shows how further products can help them is a win-win for all. For example, give them a surprise bonus guide that shares stories from other parents who successfully use the potty you are selling (and include information on other helpful products for parents of toddlers). A Product to Sell: Of course some content is a product itself. Sell ebooks, checklists, resources, spreadsheets…and/or whatever satisfies your target market’s wants, desires and helps relieve their pain. Directly tell your readers what you want them to do – EVERY SINGLE TIME. Calls-to-action don’t have to be a “buy this” link. They can be an invitation to sign up for a list, go read other articles, register for a free report or software, sign up for a webinar, leave a comment, post a review, etc. The point is to train your readers to take some action when they read your content. And when you have a call-to-action, your content has purpose. When you talk about a product, link to it. Share your thoughts on the product or illustrate the benefits of the product directly related to what you’re talking about. Link to valuable resources. If there is a resource your readers will benefit from, feel free to link to it. Linking to other content makes you a source of valuable information and can open the door to relationships with other content creators, which in turn, could mean promotion for your own content. A call-to-action is not a keyword link. In pursuit of traffic from search engines, many content writers simply link the phrase they're talking about. For example, they might have something like "I have a website about rose gardening," but there is no call to action. A call to action would be "Click here to get your free rose gardening guide." Don’t make people guess: It's always surprising how many people think if they put content on their website, their visitors will automatically find their newsletter sign up box or will find the products they have to offer. Your readers run busy lives and have other things on their minds besides your business…if you have something to offer them, ALWAYS tell them and tell them in context. Never rely on your side bars and website navigation to do your selling. People are reading your content, not looking at your lovely navigation bar. The thing about content marketing is that the more you do it and the more you do it strategically, the more benefits you will reap. This doesn’t mean you have to pump out article after article, in the hopes of a few clicks, but it does mean you need a plan. You will always have an available supply of content ideas. Content can be published for you on a regular basis, without too much effort of your own. You shape content around your product launches and other projects. A well-planned product launch and promotion should always be done in conjunction with your content planning. Will you write the content yourself? Will you hire a ghostwriter? Will you use private label rights content (PLR)? Will you use guest authors? Will you hire staff writers? Will you use reader/customer-generated content? Recommended: Will you use a combination of ALL of the above as you grow your content marketing plan? That doesn’t mean you can’t write about other topics when the idea strikes you, but it does mean that you are always prepared to publish plenty of content. Assign the topics. Now that you have a great list of content topics, it’s time to assign the work. Decide which topics you will tackle, for which you’ll hire a ghostwriter and which might be handled by your guest authors. Don’t worry if you don’t have a ghostwriter or guest author at this point (or don’t know what these terms mean, they’re in the student glossary), we will be covering that in upcoming lessons. For now, it’s important that you regularly come up with plenty of topics, so you can breeze through your content creation…even if you are doing it on your own for now. When people think of content marketing, they think of a variety of things…but many publishers corner themselves into sticking to one type of publishing. For example, some just do videos. Others just write articles. If you focus on a variety of formats, the benefits are huge. Just think if you publish content in a variety of formats, you have the ability to reach more of your target audience. When you give them choices, they can choose their method of consuming your content and you can reach them through different areas of the web that your target market frequents. Different formats serve different purposes for your readers as well. For example, a report is to consume information, but a spreadsheet or worksheet allows people to apply the information they learn. Think about different ways you can serve your audience's needs. Reports & White Papers: Short reports focused on a particular subject or problem that your target market has. Articles: Topic focused content that is published on a variety of web pages. Blog Posts: Similar to an article, but often more informal and published specifically on a blog. Product or Website Reviews: In-depth reviews of products, services or websites highlighting features, benefits, advantages and drawbacks. Spreadsheets: Help your readers make calculations, track inventories and other useful information. Checklists: Help your readers complete certain tasks and projects by providing handy checklists. Patterns: Think craft patterns, sewing patterns, etc. Editorials: Opinions on certain topics, articles and other content. Product Profiles & Detailed Information: Similar to a review, but focuses on the specifications of a particular product. Workbooks: Help your readers accomplish their goals by giving them a workbook to apply the information you give them. Pre-recorded audios and podcasts: Make it easy to take your content on the go in the car, when working out and more. Teleseminars: Information sessions held over a telephone conference line. These can also be turned into audio recordings. Webinars: Similar to a teleseminar but held online. In addition to an audio component, a webinar may also include video and text chat. Streaming Video: Video that your audience can view on the web. Think YouTube.com or Ustream.tv for live streaming. Screen Capture Video: A video that shows a slide presentation, demonstrates software or any type of action on a computer screen. Audio and Video Transcripts: For those who want to refer to specific information from a recording, transcripts come in handy. Transcripts are a written record of what is said in an audio or video. Email broadcasts: Email is a very powerful marketing tool. Send email to your list regularly. FAQs (Frequently Asked Questions): Collect questions that your readers and customers ask often and create a valuable reference tool around it. Flowcharts: Demonstrate a process through a flowchart. It’s very useful for your more visually-oriented readers. Coloring Sheets: Parents in your target market? Create fun coloring sheets for the kiddos. Fill-in-the-Blanks: Help your readers test their knowledge of what they learned or give them an opportunity of self-discovery, where they fill in information about themselves. Glossaries: Most markets are filled with jargon. Don’t leave the new learners out in the cold…provide them with a glossary of terms. Coming up with a regular stream of content ideas isn't too complicated. This list of ideas will help jog those ideas easily. Read/Watch the News & Current Events: Pay attention to what’s happening in the news and many times you’ll find something that ties in perfectly to your audience’s interests. For example, if your target market is the parents of teens, stories of online dangers or even stories of inspiring kids is a potential subject to share and comment on. Keep a Notebook with Ideas: Always keep a little notebook or the notes feature of your phone handy when you come across ideas. Sometimes a little story about what happened to you at restaurant or at your kid’s soccer game can become a relevant lesson to your readers. Reviews: People always appreciate detailed and honest product reviews. A good review will discuss a product’s features and potential benefits. It will also clearly show whom the product is suitable for and perhaps, whom it’s not suitable for. It will also talk about any potential drawbacks to be aware of. Conduct Case Studies with Your Clients / Customers: Case studies are perfect because they can be highly-informative, and also provide amazing testimonials for your business. Interview other Experts / Celebrities in your Market: Find people in your market that people turn to for information, guidance and even entertainment. If they don’t have time for an interview, ask them if they might have time to answer a single question that you know your readers would love to have answered. Have Someone Interview You: This is an ultra-easy way to create content simply by answering questions. You can even have your own readers submit questions for the interview. Look at Previous Content & Expand On It: If you previously created some popular content, see where you can expand it or possibly target a certain aspect of it in finer detail. For example, if you had created a Top 10 list, take one of those points and create content around that. Entertain: People use the Internet not only for information, but also for entertainment. You don’t always have to come up with earth-shattering information to impress your audience. Have fun, inspire them or make them laugh. Again, these are just some starting ideas…but they are very powerful. If you sit down and do nothing but planning your content (as was recommended earlier in this lesson), you should be able to come up with a list of great topics. Well here we are. You know how to start planning your content, you’ve got some useful content formats planned and you’ve got plenty of topic ideas. Let’s get down to the business of creating the content your audience needs. Writing: Writing your own content means that content will always match your precise voice, opinions and perspective. The only problem is, you’re supposed to be running your business and it’s not likely that you have time to do all the writing that your business needs. That’s why you need other options. Hiring: When it comes to outsourcing, there are a couple ways you can do this. You can hire a ghostwriter and then publish the content under your own or your company’s name. Or you can hire writers who will write content for you and publish it under their own names. Buying: You can buy pre-written content and publish it. Sometimes you may purchase content with resell rights, which means you can redistribute the content as long as the content isn’t changed and any original company branding remains. Other times, you may want to look into private label rights (PLR) content. This is content that you can edit and brand with your own company name. Partnering: Many website owners are willing to write for you for free…in exchange for a link to their websites. If you have a busy website, you may have writers lined up to help you. But don’t worry if you don’t. You can still get people to write with you and we’ll cover that in Lesson 10 as well. Reprinting: Use reprint articles with a byline and link to the author. Many affiliate programs will provide you with content that you can use your affliate link with, so you get credit for any sales generated by your publishing the article. You’ve got a ton of options now and even if you just want to use one or two of these for now, you’ll still be moving forward in your goal of profiting from content. Once again, there is no point in creating all of this content if you don’t have any purpose or some kind of call-to-action. But it’s not enough to tell your readers what you want them to do; you have to make your readers WANT to take action. Be passionate about your topic. Not all topics are naturally exciting, but show some enthusiasm and interest in what you have to say. Your enthusiasm will be contagious to your readers. Have an opinion about your topic. Generic content often generates generic results. The more certain you are about your stance on a subject, the more convincing you will be. Don’t worry if people don’t agree with you, your target audience will appreciate your opinions, particularly if they’re backed by strong arguments and supporting evidence. Shape your content to your products. If you’re a writer at heart, this might make you cringe a little, but if you believe in your products…the fit comes naturally. Choose topics that lend themselves to the promotion of your products and make your angle or opinion on those topics complement your products as well. Be an example and a role model. If you talk the talk, you’ve got to walk the walk. The more you show yourself doing what you say and reporting your results, the more likely your audience is to take action on the advice you give them. The more you can incorporate persuasiveness into your content, the more you'll captivate your audience and have them follow your call to action. Now, how do you get eyeballs on that content? In order to get your content read, you’ve got to get it out there. If you’re just starting to build traffic, you may put more emphasis on publishing your content outside of your website. But never ignore the importance of publishing content on your own website. That virtual real estate you are building will generate traffic over time, encourage repeat visitors and allows for full branding of your business. Write guest blog posts for busy blogs: Put together a very specialized post, targeted to the specific audience of the busy blog. Send the ready-to-publish content to the blog owner. If they can see your content, know that it’s unique to them and it’s ready to publish, they’re more likely to share it. Give content to your affiliates to rebrand and add their affiliate links. Webmasters love great content and when they stand to profit from it, they are more than willing to share your content. Post your content to social media. Promote your content and post original to your social media accounts. Whether it's your Facebook Page or Group, Twitter account or Instagram account, add content where your audience hangs out. Make it easy to share your content. Include sharing buttons on your website. Add content to sites like YouTube.com and SlideShare.net that provide their users the copy-and-paste code so they can put your videos on their websites too. Announce your new articles on your blog and to your mailing list. This is a no-brainer way to create a new blog post and also alerts your regular readers to new content. Submit content to offline publications like magazines, community organizations, etc. It’s not just websites that are in need of content. Larger magazines and publications might want more exclusive or first-rights (they publish it before it appears anywhere else) to your content, but smaller local publications might just be happy for the extra content. Contact targeted website owners directly to publish your content. Submitting to directories can be effective, but if you want targeted publishers to publish your content, contact them directly. And once they’ve agreed to publish some of your content, be sure to notify them when you have new stuff to share. Make it a press release. Turn your informative content into a more formal press release and submit it to the media. Advertise it. There are powerful advertising platforms like Facebook Ads, YouTube Ads and Google Adwords that make it easy to share content. You can also retarget the visitors who consumed your content to share your opt-in offers, products and more.